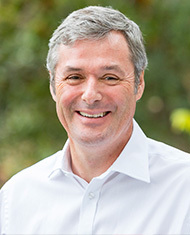 John is a former partner at Hill Dickinson LLP where he was a specialist maritime lawyer and a former head of the firm’s shipping team. 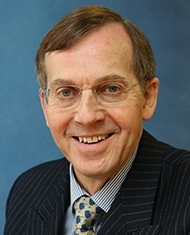 After retiring from the firm in 2016 John has provided consultancy services to Hill Dickinson and a number of maritime businesses with an emphasis on risk management. 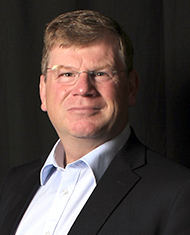 John is the Chairman of Mersey Maritime and sits as a trustee on a number of maritime charities. 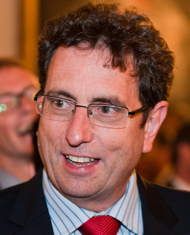 He is also a vice chair of Maritime UK with responsibility for maritime industry cluster development and was on the steering committee of LISW 15 with a specific brief to increase the engagement of the UK’s devolved governments and the English regions with LISW. John lives at Hoylake, is a member of the Royal Liverpool Golf Club, a keen skier and a season ticket holder at Everton FC. Mark Jackson was appointed the Chief Executive Officer of the Baltic Exchange in January 2017. He had previously been a director of the Baltic Exchange and served as its Chairman 2009-2012. The London headquartered Baltic Exchange is an international provider of benchmark rates for the bulk shipping industry and its 650 shipowning, chartering and shipbroking company members adhere to a code of conduct. It was acquired by the Singapore Exchange in 2016 and Mark is focused on building its London presence and broadening its Asia footprint. He was previously a director of dry bulk shipowner and operator AM Nomikos & Son (UK) Ltd and the Chief Commercial Officer for the Athens based AM Nomikos Group. Mark has over 35 years of shipping industry experience and started his shipping career in 1981 in Sydney, Australia. After 18 years working as a shipbroker in Sydney, Hong Kong, New York and London, he joined A.M. Nomikos (UK) in 1998. Mark lives in London and is married with three children. His hobbies include sailing and squash. Denis Petropoulos has worked in competitive ship broking for 40 years and has presented on a broad base of shipping related topics at many major international industry conferences. His knowledge of the energy industry and in particular its shipping requirement for crude oils, products, chemicals, LPG and LNG extends to all the supply and refinery centres around the world. 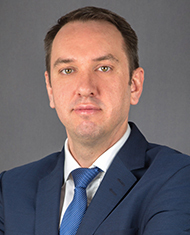 He presently sits on INTERTANKO’s Associate Members’ Committee and is a former director of the Baltic Exchange in London during which time he evolved the Baltic Tanker Routes for trading Freight Forward Agreements (FFAs). 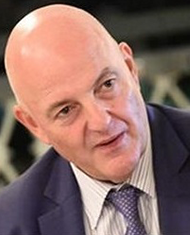 Denis Petropoulos left H.Clarksons in 1985 to open Braemar Tankers which by 2001 had evolved into the PLC known today where he sat on the board. In 2011 he opened the groups shipbroking office in Singapore and remained there until 2017 heading up the corporations expanding operations in the Asia-Australia. He came off the PLC board in 2015 and is now based back in London. Braemar Shipping Services plc is publicly quoted in the main list of the London Stock Exchange. The company is a leading international provider of ship broking, consultancy, technical and other services to the shipping, offshore, marine and energy industries. Headquartered in London, the company also has shipbroking offices in Beijing, Shanghai, Singapore, Sydney, Perth, Melbourne, Delhi, Mumbai, New York and Houston as well as a worldwide network of offices supplying marine technical, logistics and environmental services. 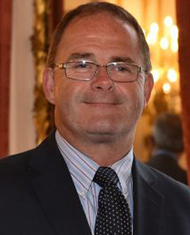 Richard Ballantyne became the Chief Executive and Director of the BPA in 2016. He represents the BPA to a number of industry bodies and is a member of a wide range of government stakeholder groups and European Committees. 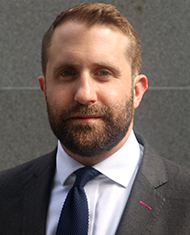 Richard has in depth expertise in ports, transport and environment policy matters as well as a wide experience of the legislative process around the UK. He sits on the European Sea Ports Organisation’s Executive Committee, the Maritime UK Board and is also a Director of Port Skills and Safety. Before joining the BPA he spent five years at a Westminister political consulatancy and was previously an MP’s researcher in the House of Commons. On the LISW Steering Group, Richard represents the whole of the UK ports sector, including both the British Ports Association (BPA) and the UK Major Ports Group (UKMPG). Llewellyn is also a Director of Shipping Innovation Ltd. He began his career in the oil industry in 1980, working both as a journalist and as oil broker in London and New York, with Petroleum Argus, Eperon Petroleum, Albion Oil, Petroleum Intelligence Weekly and OPEC Listener, before joining MRC Business Information Group in Oxford. There, in 1992, he created BunkerNews. In May 2003, Llewellyn founded Petrospot Limited, a dynamic independent publishing, training and events organisation focused on the maritime, energy and transportation industries. Petrospot publishes Bunkerspot and a growing library of books and ebooks. It also organises training courses, seminars and conferences worldwide, including the renowned Oxford Bunker Course and Maritime Week Americas. Sean is also a Director of Shipping Innovation Ltd. He has more than 30 years experience at the top of the international maritime publishing field. His long and varied career has included nine years as Political Editor of Lloyd’s List prior to becoming Publishing Director of Informa’s Maritime Magazine division, which he followed by setting up his own maritime publishing and public relations business, Elaborate Communications. He is Editorial Director of the shipping industry’s leading owning and management magazine Ship Management International and is a regular visitor and contributor at global maritime conferences and events. 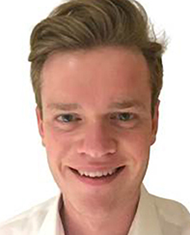 Ben joined Maritime UK from a political consultancy. Prior to this he worked for the Labour Party as a campaign manager, and ran the Labour deputy leadership campaign of Angela Eagle MP. He studied Politics at the University of Warwick and East Asian studies at City University of Hong Kong. Ben is a director of a digital communications agency. He has responsibility for coordinating and leading the activity of Maritime UK, working with the Board to develop and implement a comprehensive strategic plan for the organisation, including delivery of the recommendations for industry within the Maritime Growth Study. John Murray has been Chief Executive of the Society of Maritime Industries for 17 years. A graduate chemical engineer, John Murray commenced his career in the oil industry. An active period of trade association involvement, during which time he ran his own company, ultimately led to his appointment as Chief Executive of the Society of Maritime Industries (SMI) a position he has held since April 2001. Mr Murray currently represents the industry on a number of external bodies including the Board of Maritime UK, Chair of the Maritime UK Technology and Innovation Group and Chair of the UK Maritime Autonomous Systems Steering Group. He is also a member of the Advisory Board of the National Oceanography Centre; Vice Chair of the Greenwich Forum; a member of the Maritime Operations and Management Advisory Committee at City University and sits on the Steering Group of London International Shipping Week. 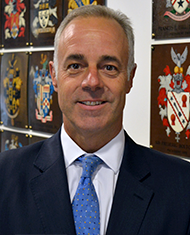 A liveryman of the Worshipful Company of Shipwrights, in 2017 John received the Maritime Foundation Fellowship Award for consistent leadership in delivering maritime industries back into national prominence. 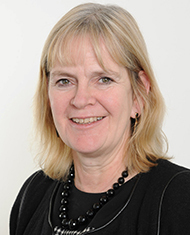 Ms Lesley Robinson was appointed as CEO of British Marine in July 2018. A qualified chartered accountant, Lesley has many years’ experience as a senior executive in fast-moving consumer goods, leisure, media and ICT companies, with a speciality in change management. 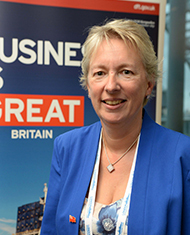 Prior to joining British Marine, Lesley spent over two years as Managing Director of leading international marina operator, Marina Developments Ltd. Lesley was previously a Director of the Money Advice Service, with specific responsibility for corporate services and for heading up the Service’s debt advice programme in the UK. She has also spent seven years working in the Sub-Saharan Africa running an ICT company with direct operations in 12 countries. She is Vice Chair of the Cherie Blair Foundation for Women and a Trustee of Ocean Youth Trust South. He assumed the role of CEO of the Gibraltar Port Authority in May 2014. During his tenure, the Port of Gibraltar saw a reversal of a downward trend in vessel traffic and activity in most sectors ( -8% (2013/4) to +17% (2016/7)) through a series of initiatives aimed at improving efficiency, strengthening relationships with the local port community, and driving through a robust marketing and engagement plan with international ship owners and operators. He was elected to the board of the International Bunker Industry Association (IBIA) in 2016. Most recently (Oct 17), and in recognition of his successful track record at the port, he was seconded to the Office of the Chief Minister to carry out a maritime strategic review, and to lead on wider, Brexit related contingency planning. Jos began his career working in Uganda as General Manager of an industrial generator business, primarily working in the burgeoning mobile telecoms market. Returning to the UK in 2005, Jos read Politics at University of Southampton. Since leaving University in 2008 Jos has worked in the maritime sector. Before joining Maritime London as Chief Executive in July 2017, Jos was Director of Development & External Affairs at global maritime charity The Mission to Seafarers, where he had overall responsibility for communications, industry engagement and income generation. Jos’s primary role at Maritime London is to ensure that the United Kingdom and London remain at the heart of the global maritime business. Petra has worked at DfT for 32 years in various roles within Roads, NATO’s Planning Board for Ocean Shipping, Private Office, HR, in Transport Security and now in the Maritime world. Petra is responsible for delivery of the DfT’s Strategy for Maritime known as ‘Maritime 2050’. Petra also oversees delivery of all DfT Maritime programmes. Petra works closely with partners to promote maritime and she provides the DfT sponsorship link for the Government’s Maritime Coastguard Agency.